It’s that time of year when we all enjoy some outside grilling, and I’m always looking for new recipes to bring to our outdoor entertaining. We are consistently grilling in bulk on a weekly basis, so I am enjoying those delicious barbeque flavors nearly everyday, but sometimes, standing over the grill when you’re entertaining can take you away from the fun of mingling with your guests. I’ve found that Kabobs are a great solution to that problem. They also give guests a way to custom design what they’d like for dinner. A “kabob” station filled with a variety of meats and veggies is such a fun idea, but they also grill up quickly, plus it’s easy for the host to make a variety of choices up ahead of time as well. 10 Minute Dinner’s Easy Teriyaki Pork Kabobs create the perfect solution to back yard entertaining. Use that recipe as a base for instructions, but then feel free to substitute meats and veggies to your liking. Our family can’t keep enough Salsa stocked in our pantry, so with fruit and tomatoes a plenty from a garden, there’s nothing like whipping up a quick batch of fresh homemade salsa. This is a great variation of Homemade Peach Salsa, since peaches are in season right now (but canned work just fine). 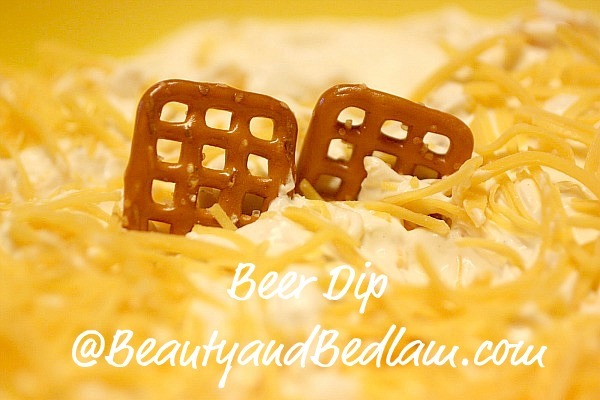 Our famous Wisconsin Beer Dip is a recipe that readers went crazy over, and it still cracks me up since I don’t even like beer. Growing up in Wisconsin though, this Beer Dip is a staple and even I love the taste created from just a bit of that beverage mixed in. Make sure and add my Strawberry Margarita Pie to your summer repertoire. 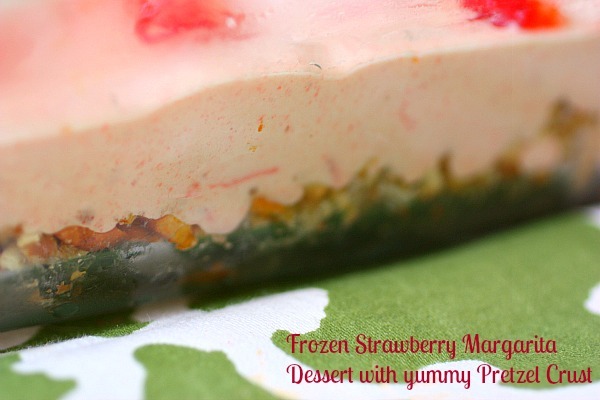 It’s a twist on your typical strawberry recipes and will have your friends asking for more. We all need a summer dessert salad recipe that is “so easy you can make them in your car” desserts, and this one is literally that. If you haven’t read the story of our bedlam moment behind this Pistachio Pudding Dessert , it will really make you smile. 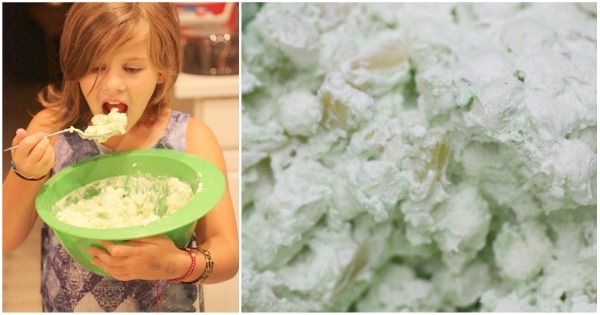 Better yet, you’ll soon understand why this dessert salad will be your new potluck favorite. 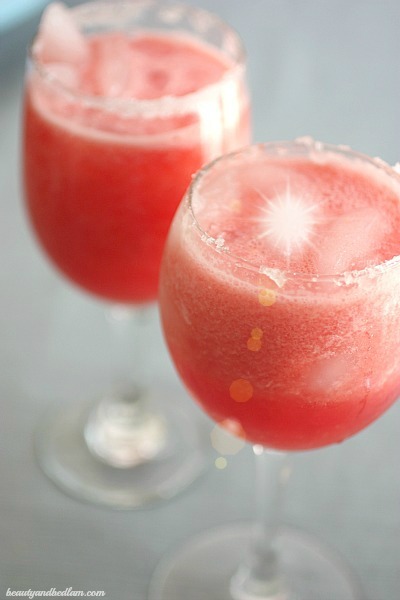 Then end you lazy summer day with a wonderful Watermelon Margarita (with or without alcohol), and your backyard summer entertaining will be complete. What are some of the new outdoor entertaining recipes that you’ve tried? I’d love to hear about them in the comments of this week’s Tasty Tuesday. I have made the Pistachio Pudding Dessert in the car! It’s my SIL favorite and I can’t show up without it. Yum, sounds amazing. I love those kind of desserts, but hm…the only thing I can think of to reduce sugar is by using the homemade ingredients for the pudding, and homemade pie filling and then you can add less sugar, BUT that also doesn’t make it one of those wonderfully quick dessert ideas. I wonder what you could add if you used evaporated? Hmm, now you’ve stumped me because the sweet. condensed milk gives it the creaminess.